It's been thirty years since Natalie Wood's death at age 43. In those three decades, the exact circumstances of her death still evoke controversy. Was it just a terrible accident that has been built up to be something darker, more sinister? Was it murder, and if so by whom? Ever since she was found, floating on Catalina Bay, the details as to what led to her death have fueled speculation. What makes Wood's death more tragic was that she had an intense fear of water, particularly drowning. Her fear was so great that she was terrified of a scene in Splendor in the Grass which required her to put her head underwater in a bathtub. Mind you, it was in a bathtub, where she would have easily and quickly pulled herself out from beneath the waters, was on land, and had a whole crew around her should her panic overwhelm her and freeze her under the water. The fact that she did indeed die by drowning appears to make it the final, demented coda to her aquaphobia. Now, the investigation into her death has been reopened. My own view is that in the end, the findings will remain the same: an accidental death, nothing more, nothing less. However, I believe that in the ensuing brouhaha over Natalie Wood's final moments, we are running a risk of forgetting something more important. 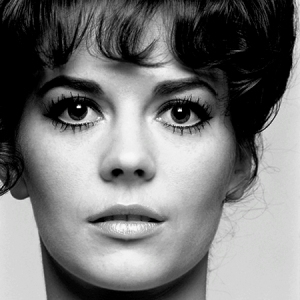 Natalie Wood was a star as well as a talented actress. Her legacy in films as varied as Miracle on 34th Street (which will always hold her as a child), Rebel Without A Cause (again, the epitome of the troubled teen) and Splendor in the Grass (who hasn't been overwhelmed by their first passionate romance) will attest to her abilities on screen. However, she was also a wife and devoted mother, and that's what I hope people will remember whenever the investigation is brought up. It wasn't just the death of a star, a Hollywood legend, that is being investigated. It's the death of a woman who loved her children, and who loved her husband Robert Wagner, a couple so intertwined that they married each other twice. I figure her daughters and Wagner, and Christopher Walken, the unwitting player in this tragedy, have endured enough in these three decades: the rumors, the speculation, the suspicions. Nothing has ever shown that Wagner was involved in Wood's death directly or indirectly. By all accounts, he seems to be a good man, though he admits there was a lot of drinking in the past. Be that as it may, there's something unseemly about the whispers of foul play against a man in his eighties when there hasn't been any solid proof against him. The real tragedy of Natalie Wood isn't just about what she could have done in film and television (or the stage, having been cast in a theatrical production of Anastasia, which would have been perfect for our Russian beauty). The real tragedy is for her family, who lost a wife and mother. This is true of all people who die under mysterious circumstances, and to focus more on the sordid "perhaps" or even the "what-ifs" diminishes the deaths. Whether they find anything new only time will tell (my view is that they won't). It will always remain one of the great mysteries of Hollywood, but from my vantage point, it is not a sordid tale of murder, but a sad tale of a woman brought up to be a star, who grew into a strong actress, but who because of a series of tragic turns ended her last hours overwhelmed by the fear that had pervaded her entire life. We have the films, small comfort but comfort nonetheless. For myself, I hope that Natasha has found peace, and that we allow her to rest in peace. Thanks for sharing your thoughts, Rick, and thanks for sharing that fantastic photo of Natalie. Can you believe those eyes? Regarding your opinion about the outcome of the investigation, the odds are that with 30 years of time passed, and the expiration of all of the statutes of limitations except first degree murder, all of those things would support your view. When the original investigation was conducted, Robert Wagner told law enforcement that there had been no argument aboard the Splendour, and the broken glass that the investigators asked about was, as Wagner explained, due to "rough seas." But thirty years later, in his book, Wagner admits that there had been an argument so heated that he angrily smashed a wine bottle on a table. So the obvious question, to police in particular, is why did he lie during the initial investigation? Another very odd thing is that for years, in interviews in the newspapers, in the magazines, and on television, Robert Wagner had declared over and over again that Natalie Wood was his "first love." But in his book, he states that his real first love was his co-star in "Titanic." No, not Clifton Webb, as some rumors contend, but Barbara Stanwyck. And a very, very odd thing is that Wagner declares in his book that he was so angry at Warren Beatty when Beatty was involved with Natalie Wood that Wagner bought a gun, waited outside Beatty's home with the gun loaded, and he fully intended to murder Warren Beatty when he came home. How can you blame police for wanting to question someone who admits, almost brags, about planning a fully premeditated first degree murder? In the world of celebrities, is is very rare that any well known people in Hollywood ever get convicted of anything. But the bottom line is this: Truth is whole and consistent, while lies are a tangled web. Robert Wagner is not currently a suspect, but you cannot blame people for hounding him with the age old question: "Why did you lie?" Did he have something to hide? Did he have something to cover up? Those are very interesting points, especially because they all come from Wagner's own book. It's true, there are, and probably always will be, unanswered questions regarding Natalie Wood's death. But as you point out, the biggest question may be "Why did Robert Wagner LIE about all of those things?"